…and my day, as well! 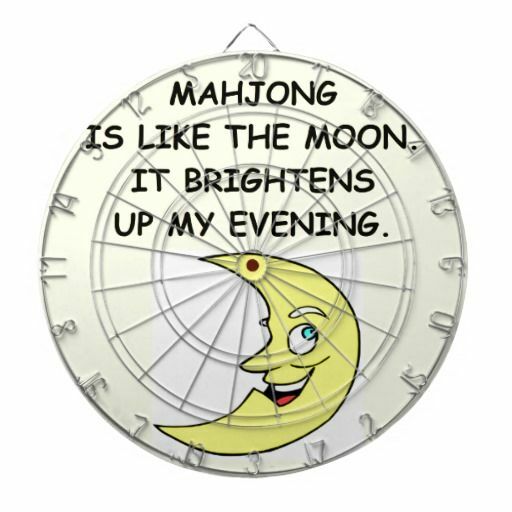 This entry was posted in Mah Jongg and Me and tagged mah jongg, moon on December 16, 2014 by Mah Jongg and Me. Our game brightens my week – just looking forward to it and we are an unusual foursome. These gals have taught me so much about health and of course playing the game of Mah Jongg. One is paleo, another vegetarian and the other is vegan. Me, I’ve always been health conscious, but I’ve been challenged to come up with something every month for a dinner that will accommodate everyone. Sometimes we play into the early morning hours of the next day. We’re working on starting earlier and quiting before midnight. Mah Jongg has brought us all together and we feel a real connection to one another. We are blessed. Carol – thank you for this – I love what you have written here.